I was so unhappy with this pub I registered with BITE just in in order to warn off others. I went there last Friday night about 6pm. I admit I loved the decor, the lighting etc, but .. oh but ... the sofas should be condemned. They are so low off the ground, they gave me back trouble after 30 minutes, which has only begun to clear up on Tuesday - having been on Ibuprofen for 3 days. There are no other chairs etc, but what idiot has sawn the legs shorter I don't know. If you have any history of back problems or sport injury, avoid this bar like the plague! One of my favorite "party" venues in South London. 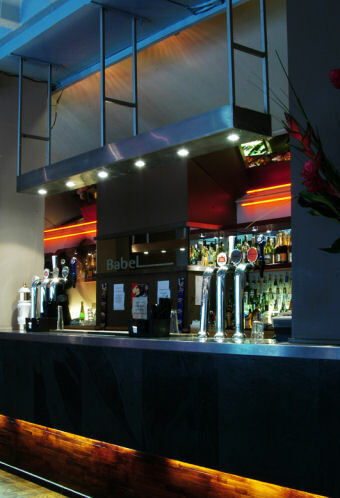 Always packed with a great atmosphere at the weekends and a good place for a meal during the week. Love the look of the place. Not like anything I've seen before. Fantastic destination bar in popular area. Quick service and good music. Love the lampshades. Whats the coincidence? All the bars they review are owned by the same dreary company - Faucet Inn Pub Co.
Get a clue guys and concentrate on running your bars well enough for you to get some real reviews instead of these fake ones! 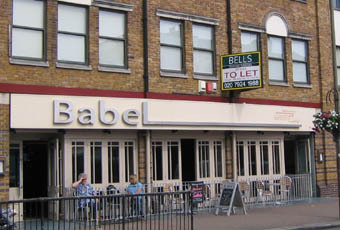 Babel has been refurbished with lots of lamps hanging from the ceiling with reproduction 60s wiring and seating like a school staff room from the same decade. It's very dull and boring in there. Regarding a comment below about the toilets... the men's were long overdue a new soap dispenser! It seems that's all they replaced. 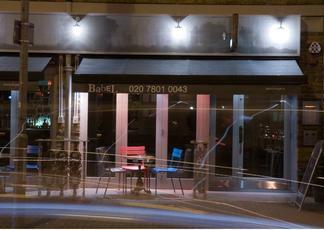 Like All Bar One opposite, they still try to attempt a table service only routine at given times during the week. THIS DOES NOT WORK IN THE UK! If there is an empty bar on walking in to an establishment, we will go and stand at it to buy a drink! We Brits have no time to sit at tables and be served, we are in too much of a hurry going nowhere!